We publish only works, articles, reviews, etc. prepared on LaTeX typing system. The article must be formatted according to journal style and journal guidelines. Please, direct all inquiries about submissions of papers to eb@acadsol.eu. Author Services: Authors will receive an email with a unique number that enables track the process. Please, refer to Publication Ethics section. Please read COPE International standards for editors and authors. We hold these standards in our works with authors, editors, and readers. Download the style-file from here. all sources that have supported the research and also he/she have to declare any conflict(s) of interest. The author should guarantee that the work is original. If the author has used work, citations are required. The author should inform the journal editor in his or her published paper and cooperate to publish correction of the paper. Please direct all inquiries about submissions of papers to eb@acadsol.eu. All articles published in our journals are open access and freely available online, immediately upon publication. This is possible by the use of article-processing charge (APC). This covers provision of online tools for editors and authors, article production and hosting, abstracting and indexing services, and customer services. The APC is payable when your manuscript is accepted is charged to you or to your funder (institution). The APC is USD 260 for articles up to 15 pages, formated according instructions to authors (see the template above). 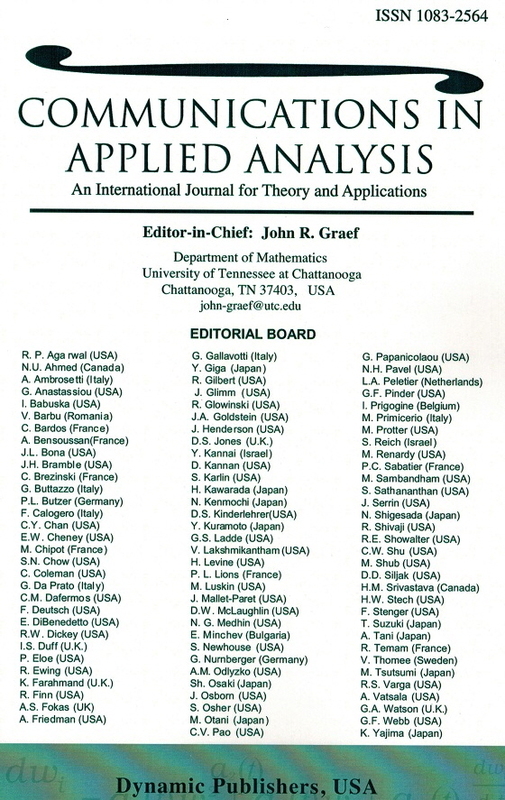 The APC is USD 360 for articles up to 30 pages, formated according instructions to authors (see the template above). An additional charges may be applied in case of not properly formated LaTeX files, final submission of non-tex files, automatic translations to LaTeX, etc. The journal is published quarterly by Academic Solutions, Inc. in the months of January, April, July, and October. If the LaTeX file of an accepted for publication article does not meet the journal format, then: The delay of publication may be (much more) longer than usual, or article may be rejected.